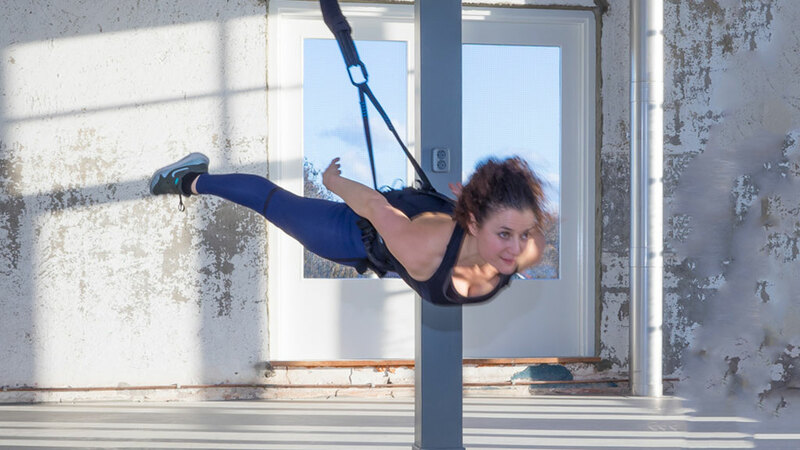 My name is Janneke van Amelsvoort, creator of Bungee Super Fly; a new type of sport where you do a bungee workout or bungee dance with the resistance of a bungee cord. This will literally lift you up to a next level if, you dare to step out of your comfort zone. In this blog, I want to share why pain isn’t so bad and you shoudn’t be shy of. In a Bungee Super Fly class you’ll be challenged to overcome some discomfort to enjoy greatness! What will bring true joy and happiness? B: You had to climb mountains, conquer fear, rain, mud, fall down, swallow the pain and move on to get it. The reward is so much bigger, right? That is because luck will then be accompanied with proud, strength, radiant skin and will enlighten everything around you. Agree? For me, as a dancer, pain taught me the right technique to find balance. As an aerialist pain always gave me strength and the opportunity to enjoy freedom in the air. As a mother pain gave me beautiful children. As a human being pain made me conscious about loving whatever the moment has to offer. What to do if you’re a lazy person? Or very sensitive..? Do you realize in what comfort zone you are living? What if you could step out or fly out and become a superhero? Even if it’s only for one hour! All superheroes are doing it; facing fear, battling pain and jumping into the unknown. How do you think they feel? What do they say when they are about to die? They will not regret their life. Cause they lived it to the fullest, they made a difference in the world by lifting others up and put a smile back on their faces. So, why don’t you give it a try and see what will happen? If you have a good look at all superheroes, the pain makes them stronger and the fear more willing to win. They just jump, literally fly and enjoy whatever is beyond. If you dare to take the first step, we will make you fly!